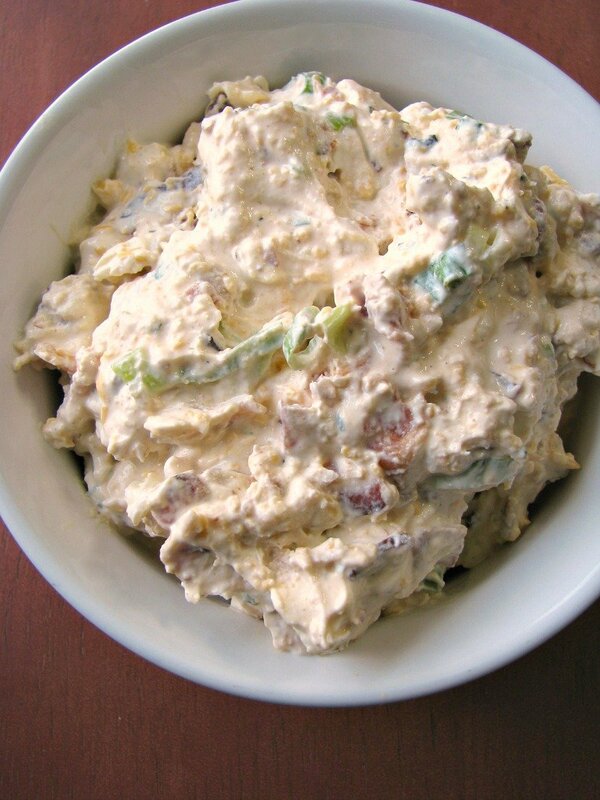 Crack Dip (Bacon Cheddar Ranch Dip), made with cream cheese, sour cream, cheddar cheese, loads of bacon, scallions, and a hint of sriracha, is perfect for any party! Welcome to the final week of Bacon Month hosted by Julie of Bread Booze Bacon. 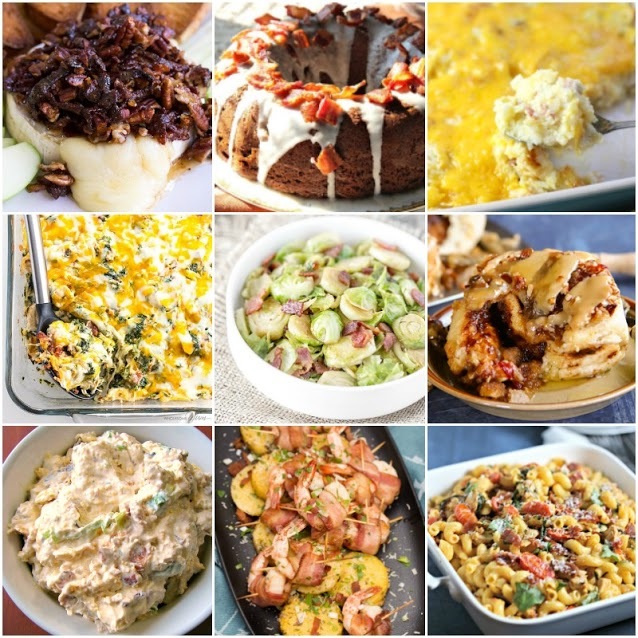 Each Wednesday in August we have shared bacon-focused recipes, and you can find the links to all of the recipes shared this week below. 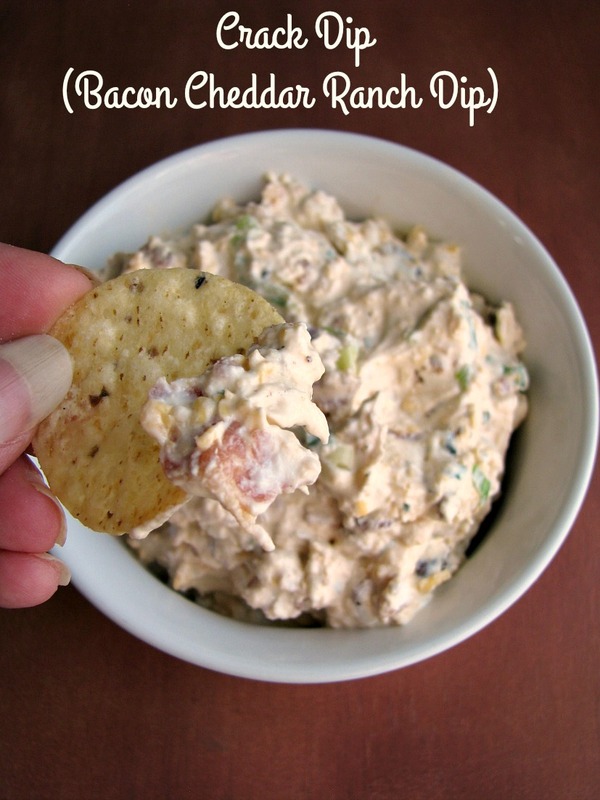 I first tried Crack Dip a few years ago and it was my favorite of all the party dips. Only one problem, every recipe I found called for only 4-6 slices of bacon. WHY?! That is not nearly enough for me! So…..I used a whole pound of bacon. I did use the lowest sodium bacon I can find (and it’s cherry wood smoked), so it wasn’t really salty, just amazing! 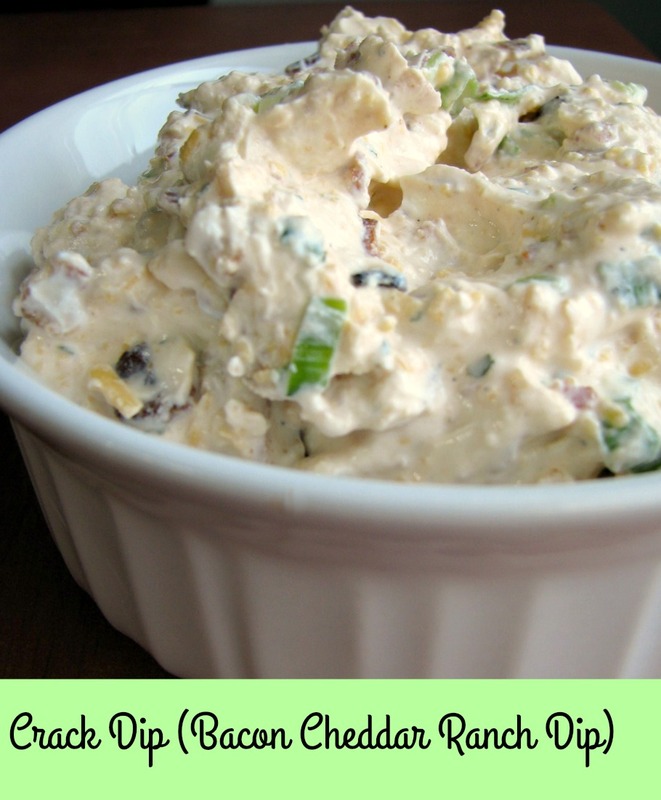 Serve this bacon cheddar dip with tortilla chips or potato chips. 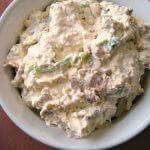 For this Crack Dip recipe, you want the bacon really crispy, but not burnt. Then, pat the grease off and crumble it as fine as you can. Otherwise, you will end up with chucks of chewy bacon. That’s not a horrible thing, just not really what you want here. This doesn’t have to do with the recipe, but after all these years I finally figured out the trick for me to save money at the grocery store. No, not coupons. Take my kid with me. I’ve had to since April because my mother-in-law can’t watch her like she used to. Sure, I spend more money on junk she doesn’t need and probably won’t even want once we get home, but I get so distracted with her that I forget half the things I wanted to buy. My grocery bill was down almost $50 last week. It’s going to be bad when I remember everything all in one trip! You can also make this into a warm Crack Dip by placing all the ingredients in a slow cooker after cooking and crumbling the bacon. Read on after the Crack Dip recipe to see all the other delicious bacon recipes shared today. Place the softened cream cheese in a large mixing bowl. Stir in the sour cream until well combined. Add the ranch seasoning and sriracha; mix well. Fold in the bacon, shredded cheddar, and sliced scallions until well combined. Cover and refrigerate for 1 hour before serving. Make a hot dip instead by place all of the ingredients in a slow cooker set on high, after cooking and crumbling the bacon. Stir occasionally for about 1 hour or until well combined and hot. Turn heat to keep warm.